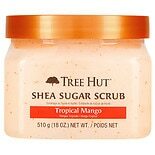 Shop Tree Hut Body Scrub Mango (18 oz. )18 oz. 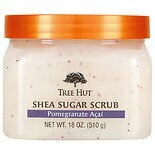 Shop Tree Hut Shea Sugar Scrub Pomegranate Acai (18 oz. )18 oz. $699$6 and 99 cents$0.39 / oz. 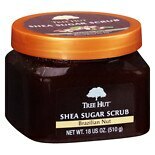 Shop Tree Hut Body Scrub Almond Honey (18 oz. )18 oz. $659$6 and 59 cents$0.37 / oz. 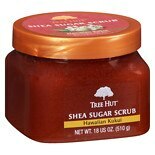 Shop Tree Hut Body Scrub Hawaiian Kukui (18 oz. )18 oz. 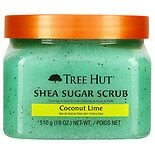 Shop Tree Hut Shea Moisturizing Body Lotion Coconut Lime (9 oz. )9 oz. $549$5 and 49 cents$0.61 / oz. 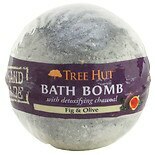 Shop Tree Hut Bath Bomb Fig & Olive (7.25 oz. )7.25 oz.